First off, Happy St. Patrick’s Day! Hope you get your fill of green beer today. Next, manuscript update: I’m midway in chapter 8 or 30 chapters. So far, this polish is pretty much what I suspected, which is good. I’ve caught a few bad word choices and a few typos, but nothing major that I can see. Fingers crossed for the rest. Browsing through my Google Reader this morning, I came across Deb Markanton’s What Are You Reading post, and although I commented on her blog, I thought I’d put more on here. My answer to that question is Suzanne Collins‘ Catching Fire. But as much as I was hooked, I think I enjoyed reading the Overlander series more because of the third-person point of view. In Hunger Games, and now Catching Fire, Suzanne Collins uses present tense first person, and it seems awkward to me, makes me feel uncomfortable. I feel much more at ease reading something in third person. Why is that? Is it the immediacy of the present tense? I think it’s because it’s not how we would tell stories to each other. We wouldn’t say, “I go to the meeting and fix all the problems.” We’d say, “I went to the meeting and fixed all the problems.” That seems so much more comfortable to me. Present tense seems unnatural, forced. And yet, I can’t stop reading. It’s also the story, the characters and the way Suzanne Collins sneaks up the cliffhangers so wonderfully. But maybe, despite my uncomfortable feeling with present tense, maybe it’s also the tense choice. I’m really curious to know if I’d be as interested in this story if it was in past tense or third person. What do you think? Can present tense pull a reader into a story more? Can character and story do it just as well? Maybe it depends on the story, depends on the characters. Ultimately, I guess it’s the whole package that makes a book great, but what is it that makes us choose a different tense? Ah, wonderful topic! There is a trend right now to write in present tense, and I’ve been wondering if it will be a fad or continue. I think present tense can create awkward sentences, though I didn’t notice that in Hunger Games or Catching Fire (perhaps because of the fast pace of the novels, or Collins excellent writing style). I suppose a question is whether readers feel less tension when a novel is in past tense. I don’t think this is so, but I can’t say for sure. It’s a topic I’d love to hear more writers discuss. Since there are more books out there written in first person present tense, I find I’m becoming more comfortable with it as a reader. But I do find that sometimes it makes me feel detached from the story. I think the word Andrea used, detached, sums it up for me as well. I have read several good books written in first person present tense, but it’s always a struggle to care about the MC. It feels like I am reading a summary instead of a novel. I loved the Gregor series, but it literally took me months to read the first fifty pages of The Hunger Games, which I ultimately enjoyed. Yeah, I agree. First person present tense does give you a detached feeling. That’s a great way of putting it. I’ve read some people say that first person present tense puts the reader so much more in the main character’s head, but it doesn’t for me. The story does that. I love your description, Vonna, of reading a summary instead of a novel. I agree with that. And as I said, I’m reading Catching Fire right now and can’t put it down, but the first person present tense is a constant distraction. I agree with Beverley that it does seem to be a trend right now, and I’m all for experimenting. But I’d be interested to see if it’s a trend that sticks. I’m a scientist not a classical trained author and wasn’t aware first person present tense won’t sell well with agents. My first book written in first person present tense accomplishes aspects about the main character not possible in past tense. For the reader to be in her head as she detaches from the reality of decisions she makes with a sense of voyeurism not as a confessee. Perhaps this is why present tense makes some feel uncomfortable. Being a crime scene investigator for so long I was trained to put myself in the present tense mind of the killer to get a sense of what/when and why he did it. I’ll continue to defend my choice of writing style on that book until I find an agent willing to take a chance on the non-traditional or sell out to the establishment someday and attempt a rewrite in past tense. I don’t agree, though, that first person present tense won’t sell well with agents. There seems to be almost a trend now of books being written in first person present tense. They are becoming more and more prevalent. Keep working on your book and submitting. You’ll find the right agent for it. It takes a lot of work, and often it takes a lot of time, but it’s worth it in the end. I googled “Present tense, first person POV” and came up with this blog and just read through all the comments. VERY interesting dialog here! I am in the middle of my first novel (middle grade readers) and couldn’t find much of a voice until I switched to this. But am worried that it’s too “out there” and won’t ever get published (or, that I’ll finish the whole thing and be told to change it all into past tense!) Thanks for your insights. I’d like to hear more on the topic if anyone else has experiences with agents to share. Thanks! i am currently writing a childrens chapter book, and have recently found that the present tense really works for my story. my other work, is all in the past tense, so i am interested to see how my story pans out. 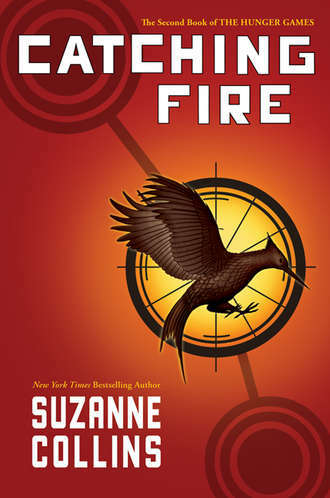 I enjoyed the Hunger Games series well enough, but it was despite the tense. It was one of the most uncomfortable and distracting experiences I’ve ever had as a reader. I probably will avoid any books written in it in the future, but I was hooked on the story by the time I was deep enough in the book to get irritated by it. It constantly pulled me out of the story and forced me to parse un-natural sentences in my head to make them make sense. I’ve no problems with first person past tense, but it takes a skilled writer to use it correctly, and Collins isn’t quite there. She constantly made errors – such as Katniss having never heard of the word “morphine” and consistently using a mangled version of the word, but then having no problems forming a sentence like “I see his eyes, glazed by opiates.” Um. It also led to the third book usually involving Katniss in various stages of illness, recuperation, exhaustion, etc. while all the important events happened off-screen, as she couldn’t really figure out how to get Katniss into the centre of the action (to a point). Those times she did stood way out from the rest. All that said, good story, and I’m glad a YA writer was allowed to maintain the bleakness that good dystopian fiction requires.